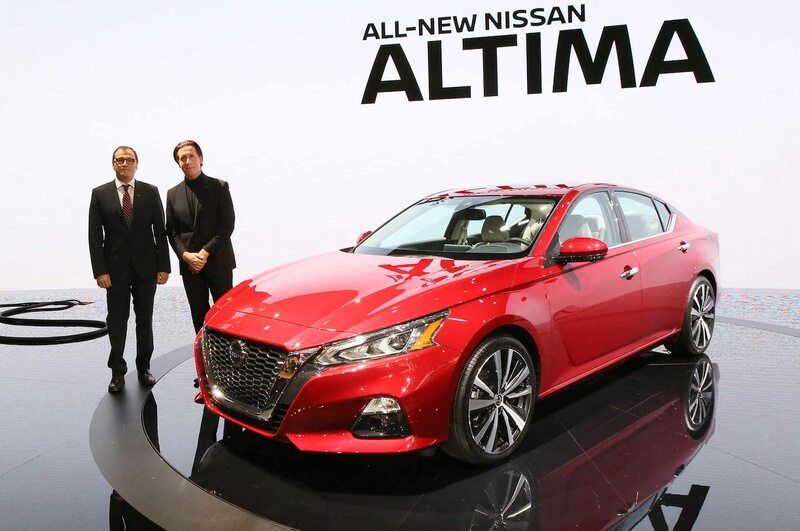 The sixth-generation Altima makes its debut at the 2018 New York auto show with a feature that the Camry and Accord don’t offer at any price: all-wheel drive. 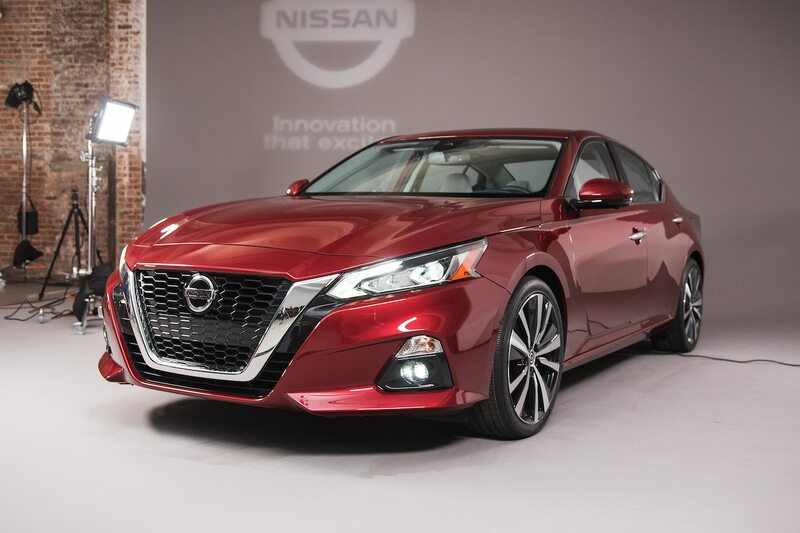 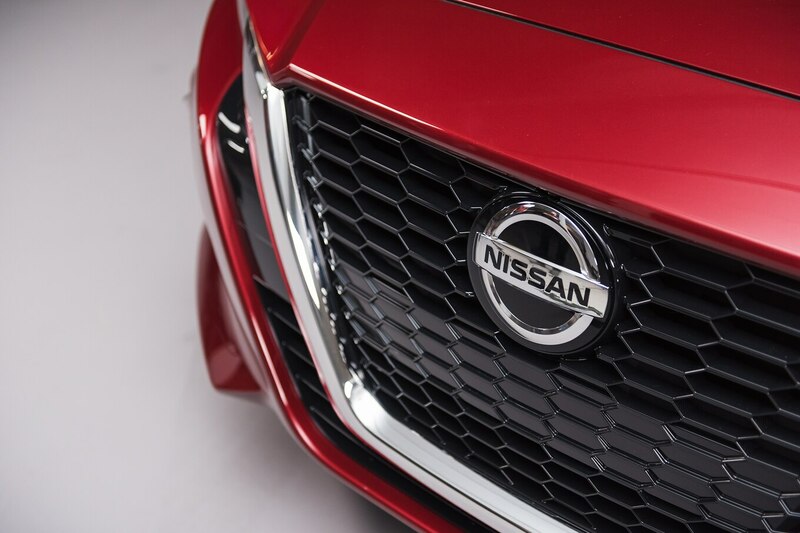 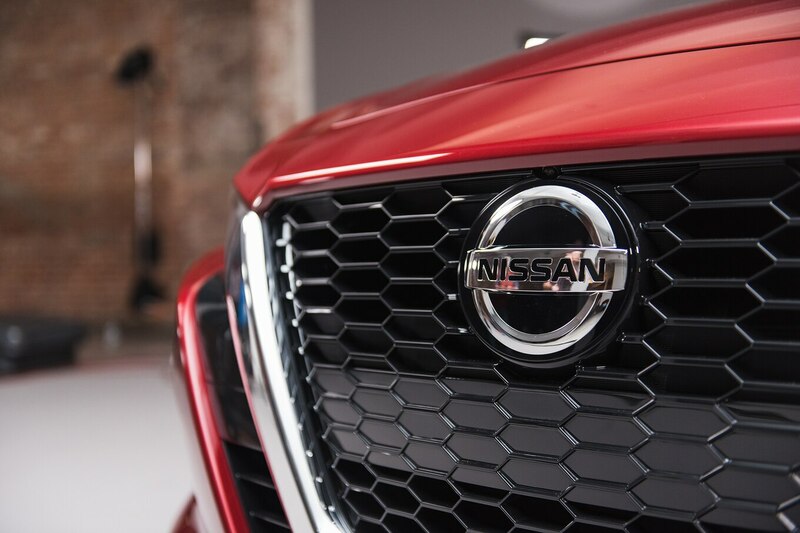 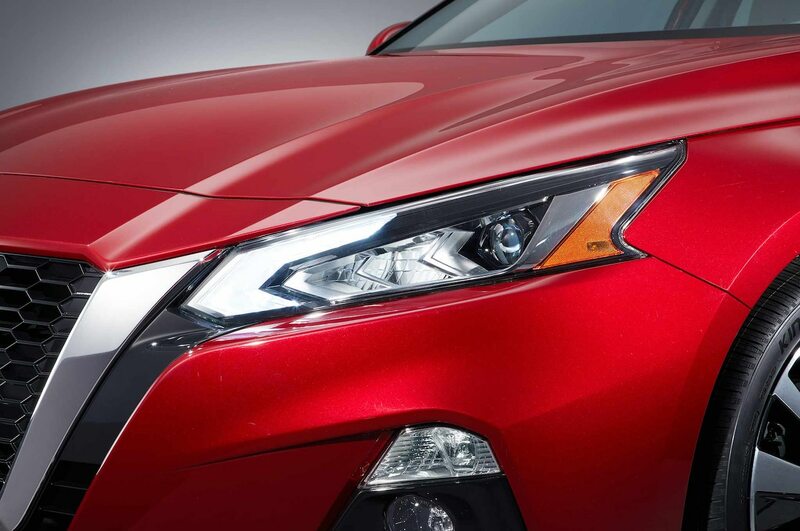 But beyond newly available AWD, Nissan has reimagined the Altima in a few other ways—keep reading to learn more about the new midsize sedan. 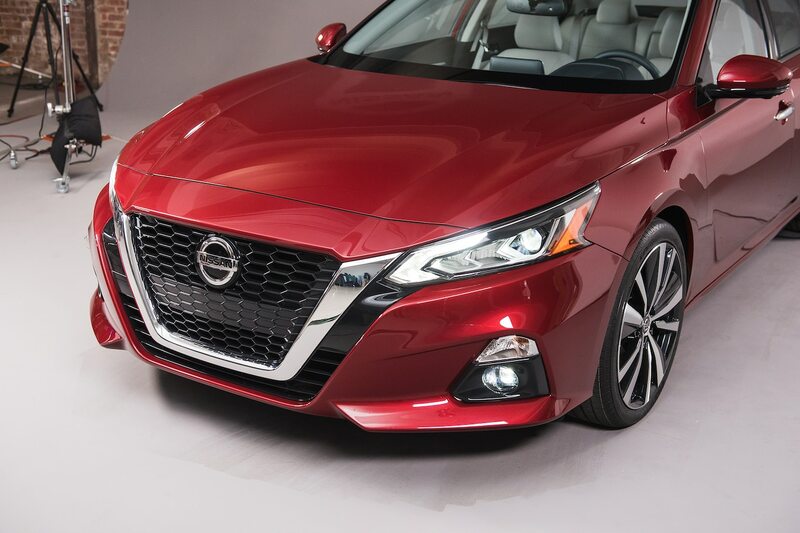 Nissan is offering all-wheel drive on the 2019 Altima, and it’s not just a first for that midsize sedan nameplate. 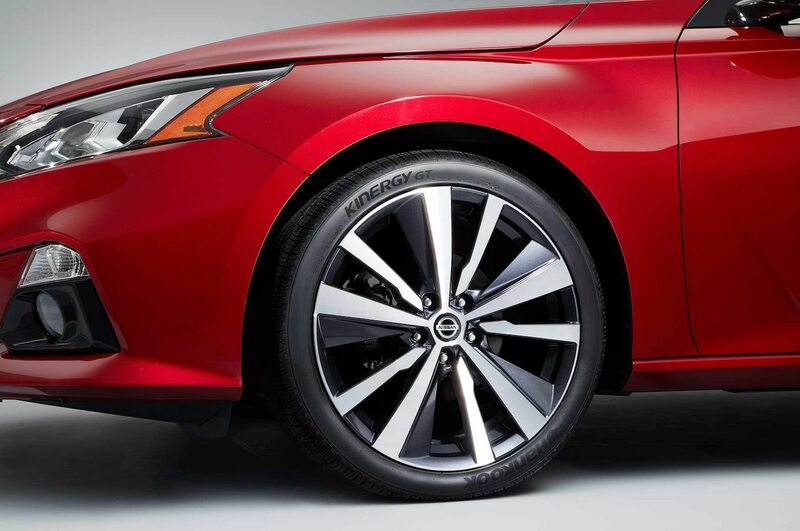 It’s also the first time any U.S.-spec Nissan sedan will offer all-wheel drive. 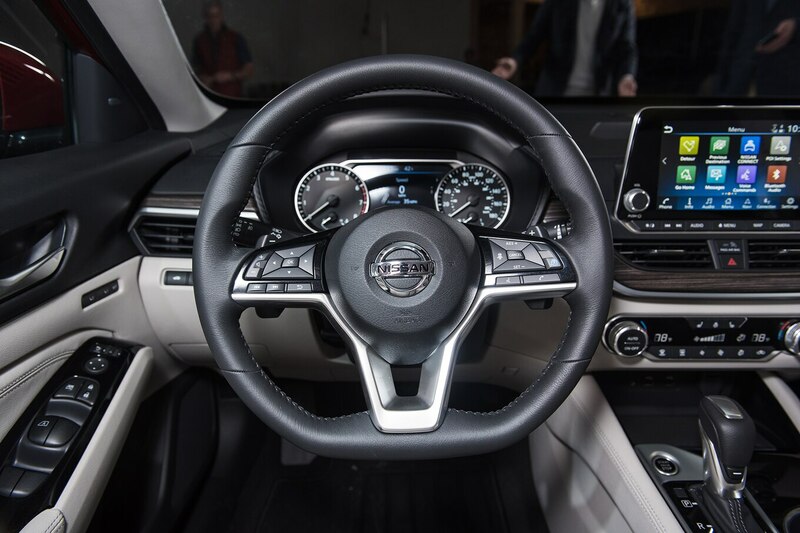 “One less reason for [buyers] to defect to CUVs is if we offer all-wheel drive,” Nissan product planning manager Derek Kramer said. 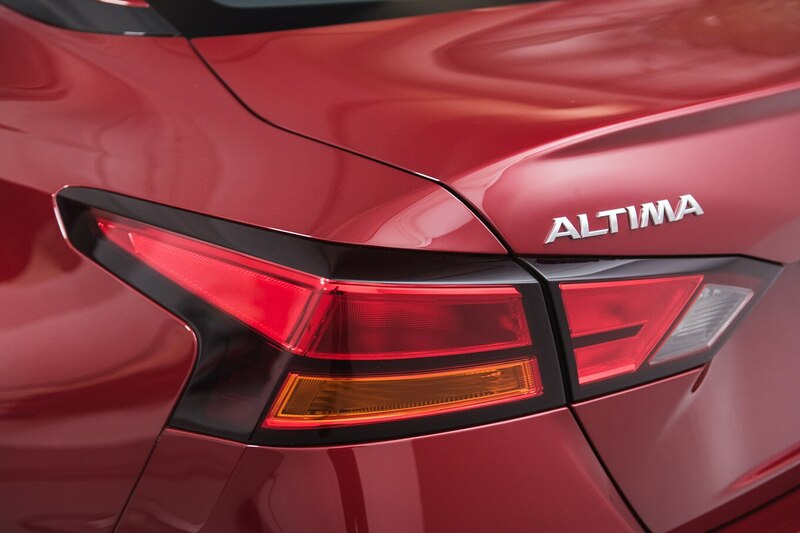 Currently, only Subaru and Ford offer all-wheel-drive midsize sedans. 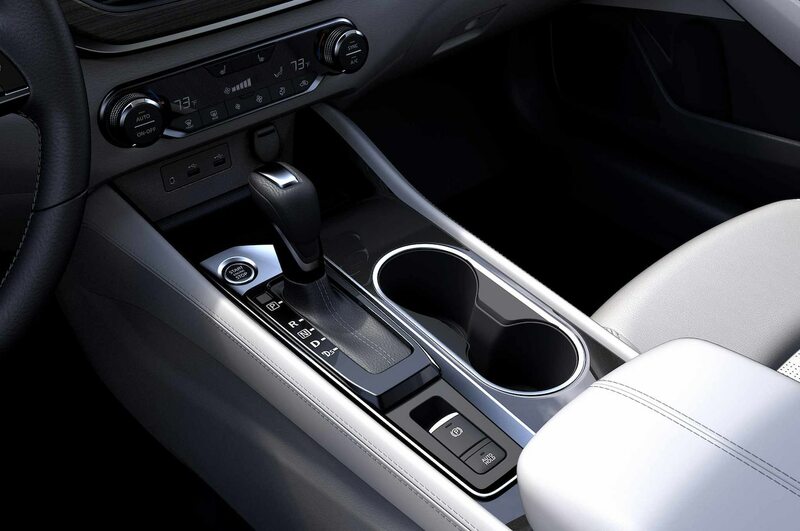 Ford offers all-wheel drive with the 2.0-liter EcoBoost powerplant, requiring an engine upgrade over two other engines, but Subaru includes all-wheel drive as standard on every Legacy. 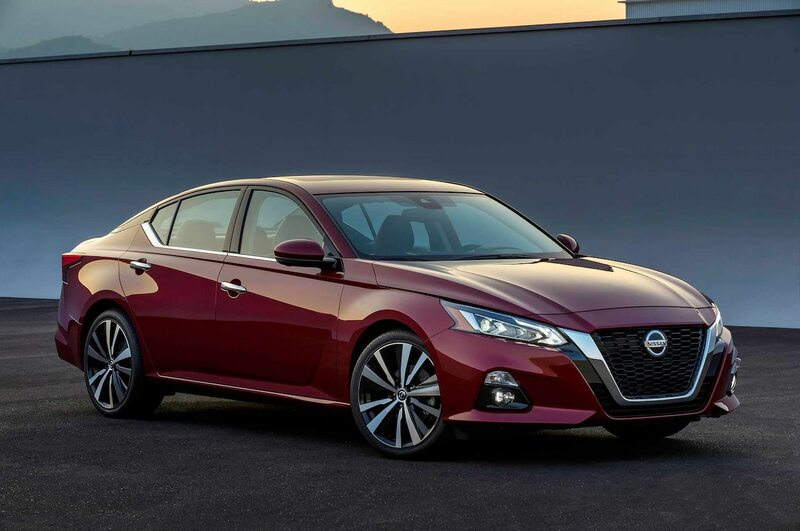 Nissan’s approach is closer to Subaru’s—at least at first, the Altima with AWD will be available on all five trims with the 2.5-liter base engine; the 2.0-liter VC-Turbo engine is front-drive only. 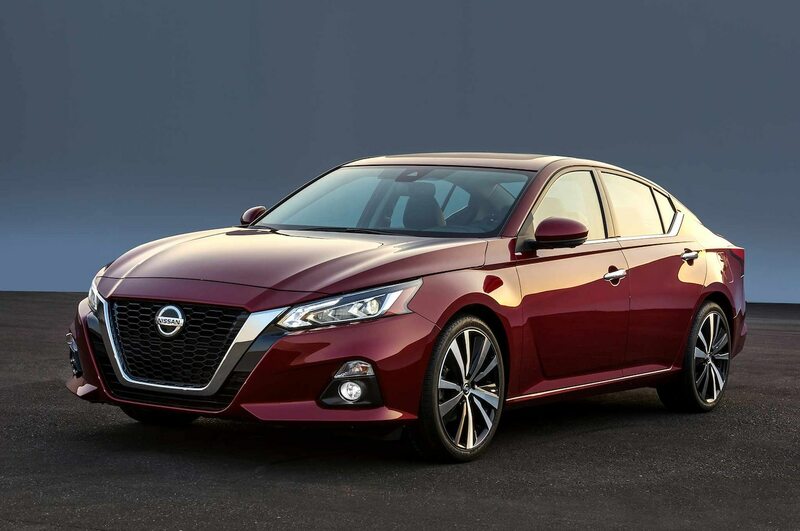 Just as Toyota has found success broadening the Camry’s appeal with SE and XSE variants, Nissan is seeing a similar trend with the Altima. 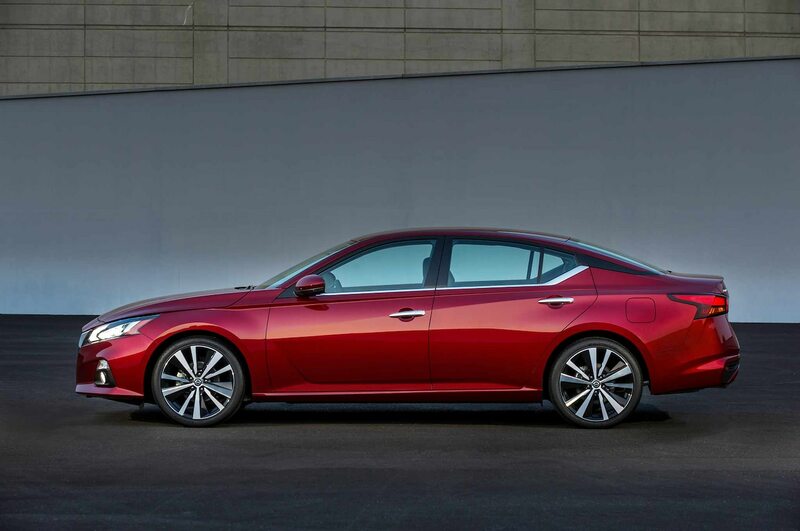 The 2019 Altima will be available in S, SR, SV, SL, and Platinum trims. 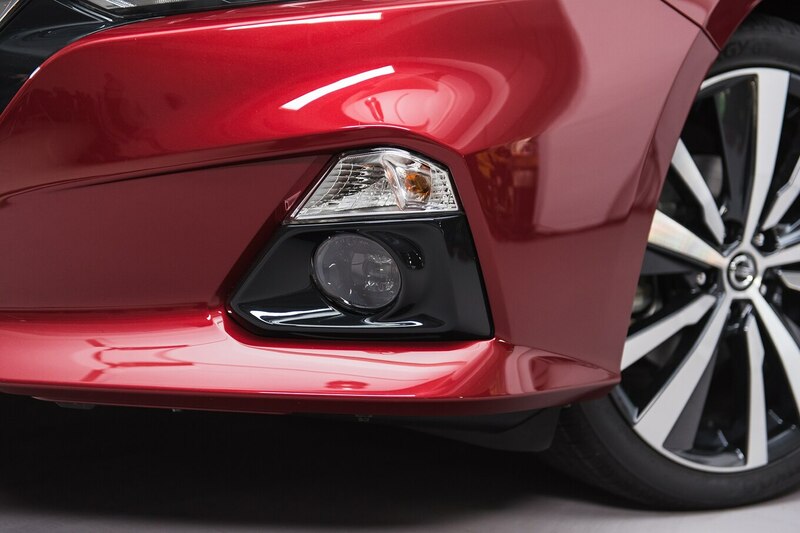 Although the SV has been a popular variant, the SR is gaining ground. 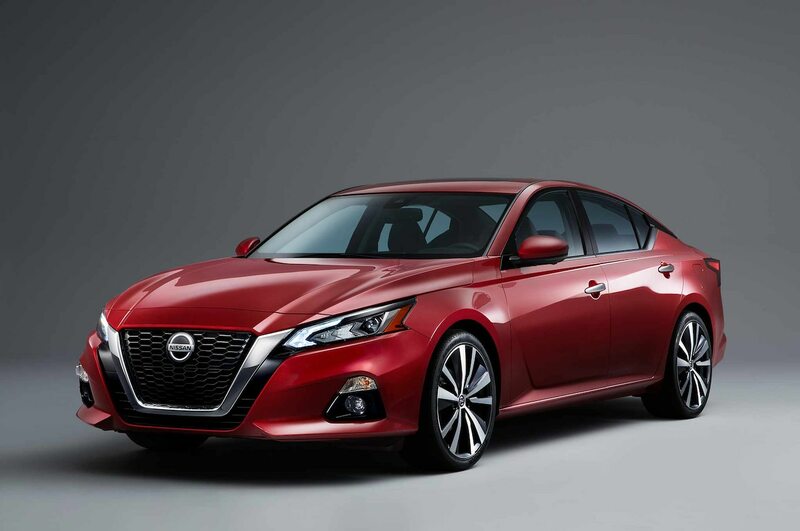 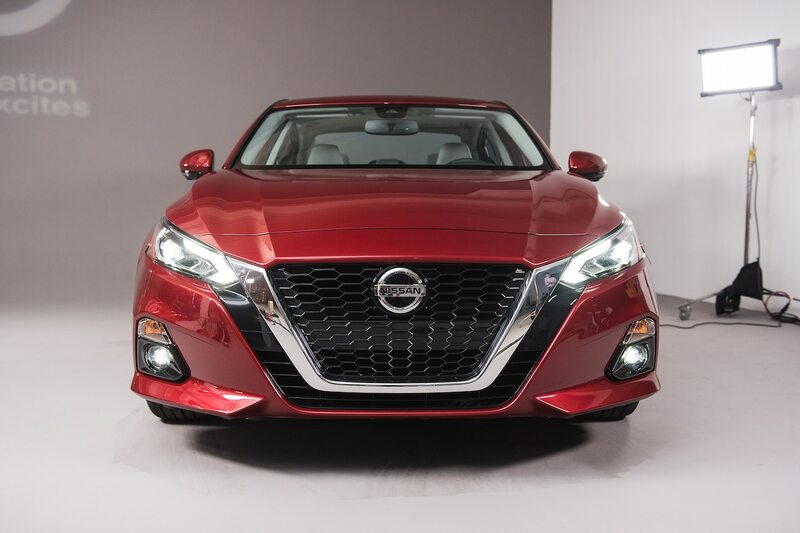 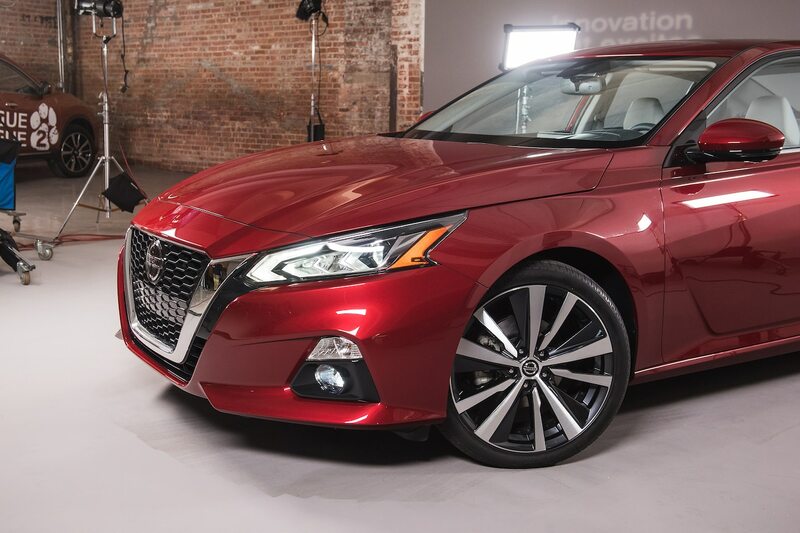 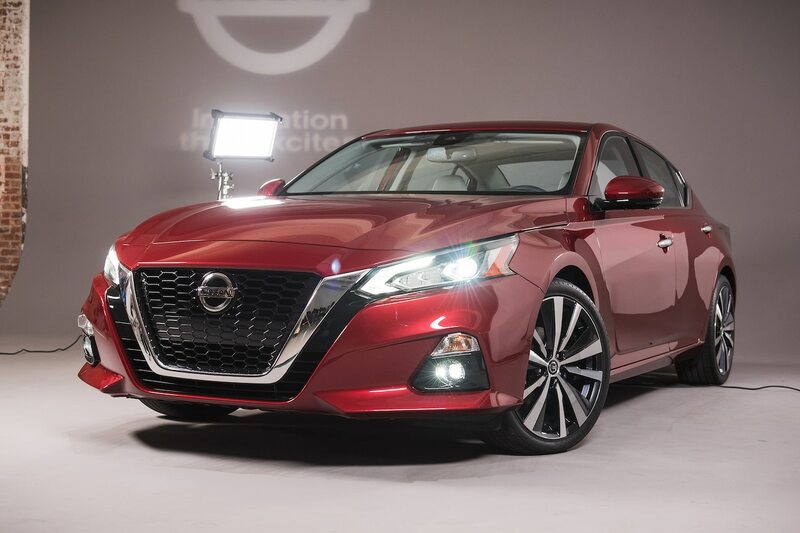 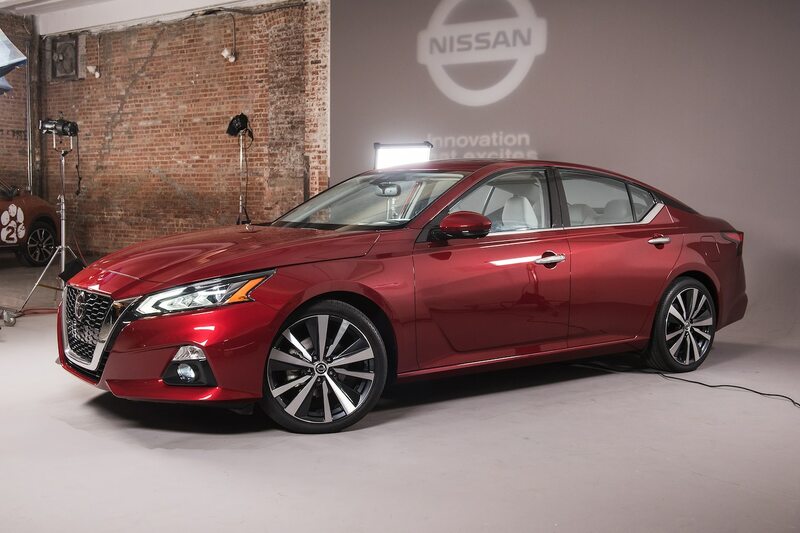 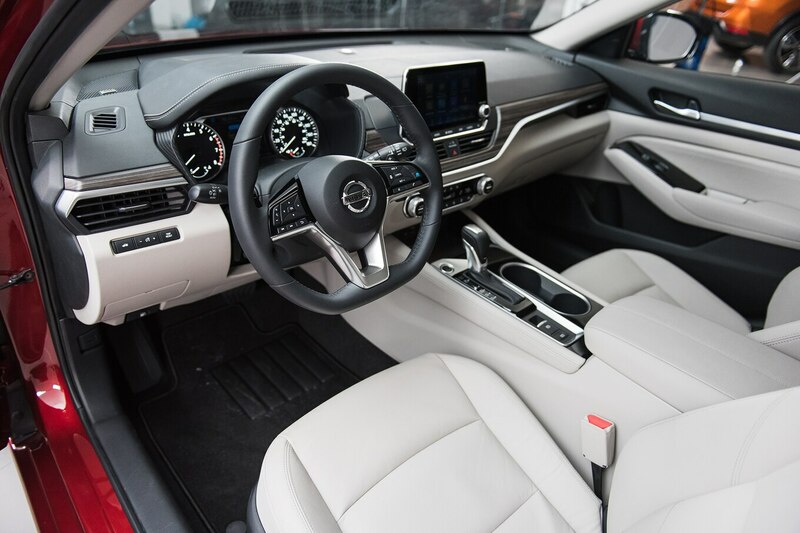 The 2019 Altima SR, which is available with both engines, gets 19-inch wheels, a different suspension and chassis tuning, and paddle shifters, and it offers a dark interior with orange accents. 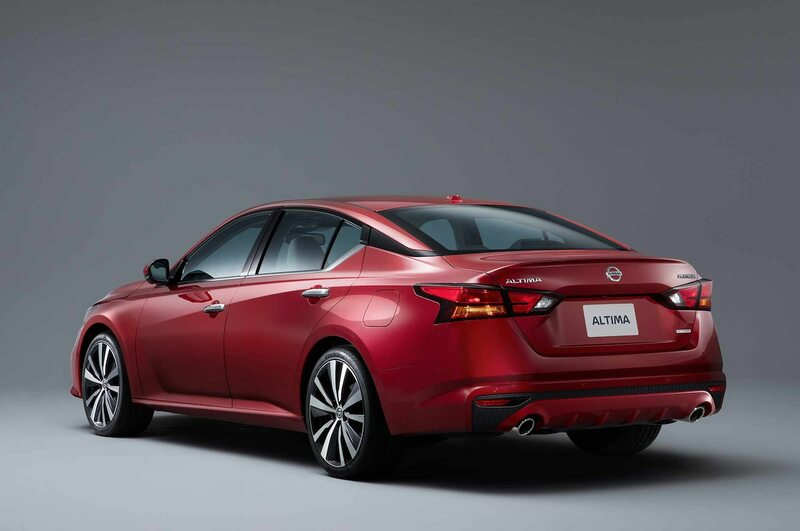 One feature the Altima SR doesn’t get is Nissan’s package of active safety tech, called ProPilot Assist. 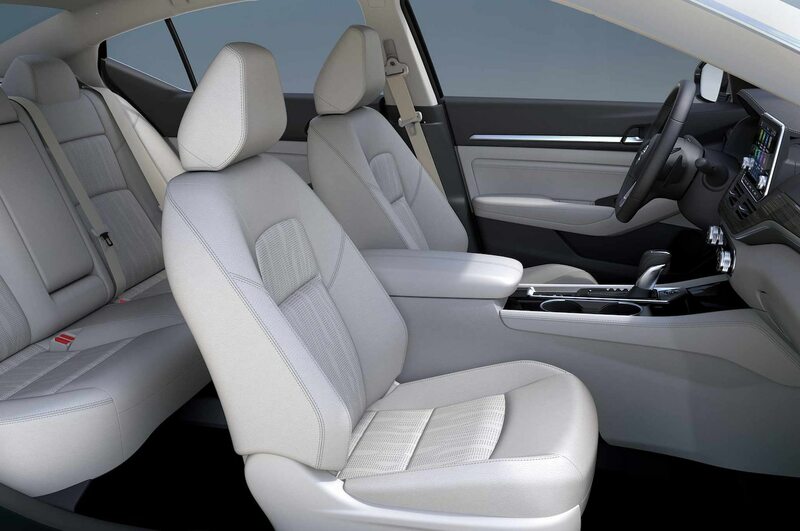 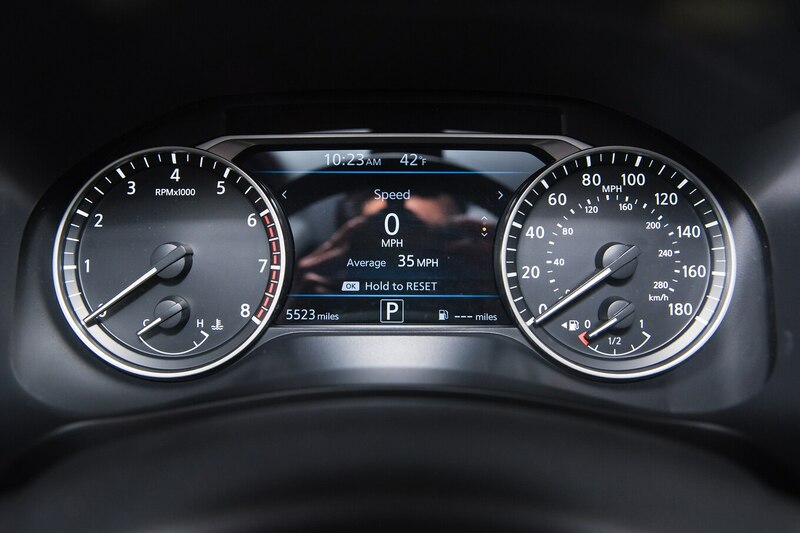 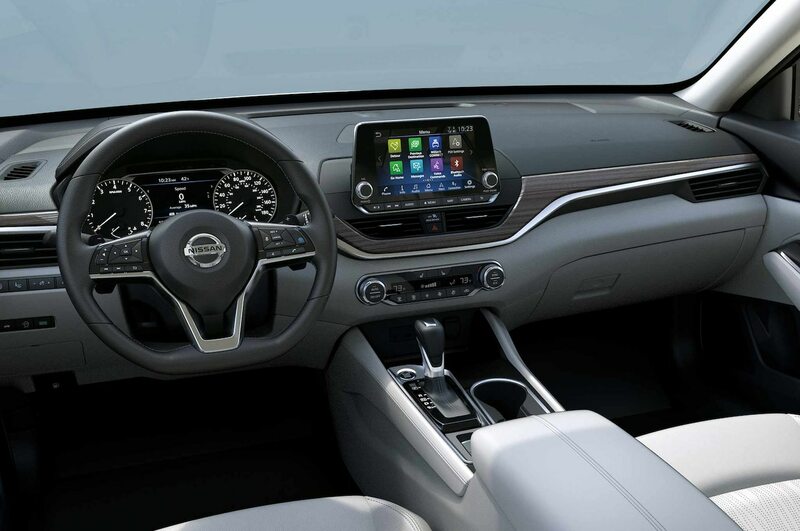 The 2019 Altima gets a full package of advanced safety features, which includes lane keeping assist, adaptive cruise control, automatic emergency braking, and automatic rear braking. 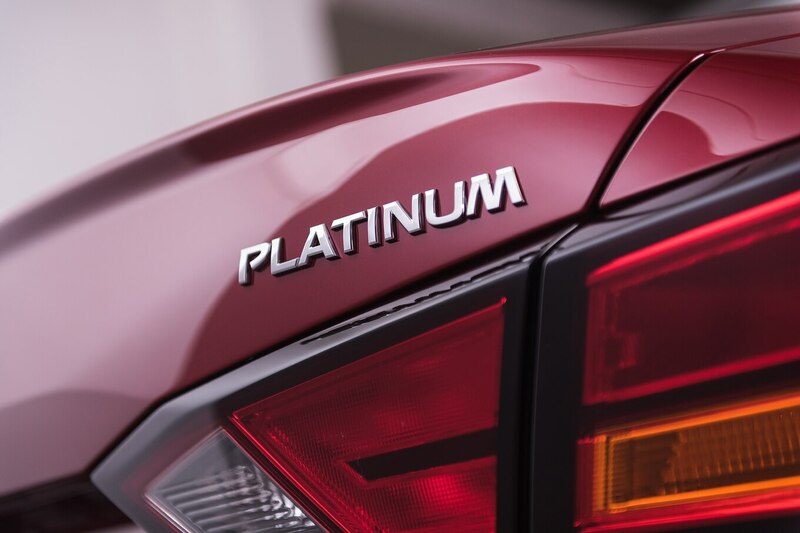 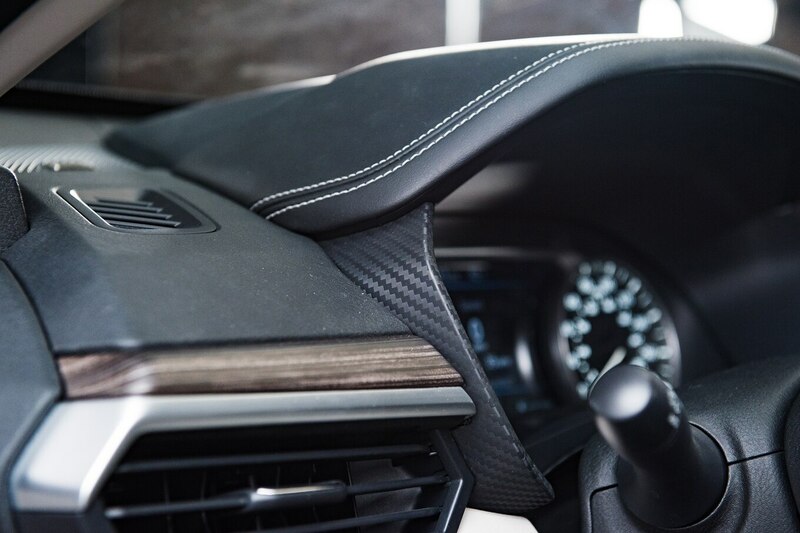 Although it’s standard on the SV, SL, and Platinum, the package isn’t available on the S or SR. That strategy differs from that of Toyota and Honda, which make their active safety tech packages standard on every Camry and Accord. 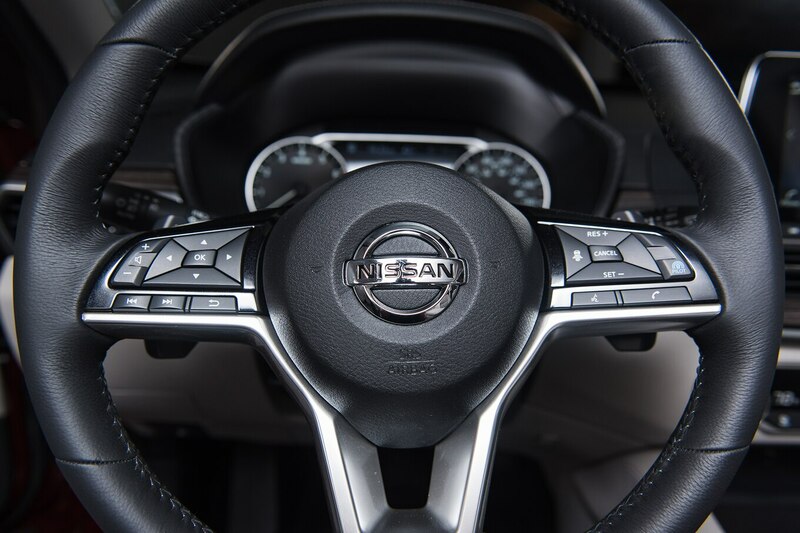 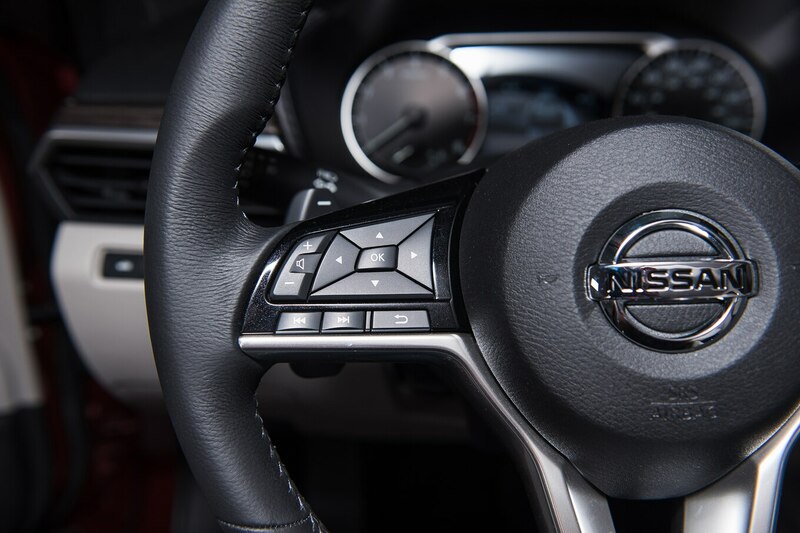 Of course, not all such systems work exactly as well as the others, but we hope the lack of ProPilot Assist on lower-trim Altimas will help Nissan keep those models affordable. 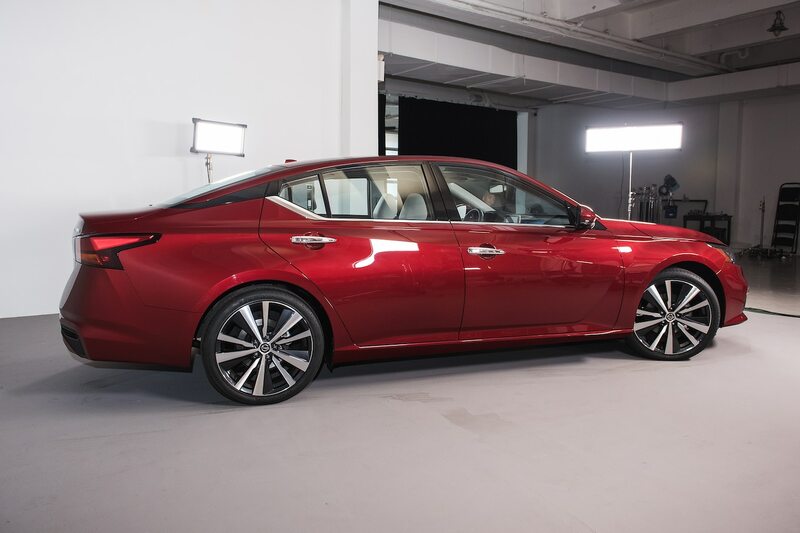 (Pricing hasn’t been announced yet.) 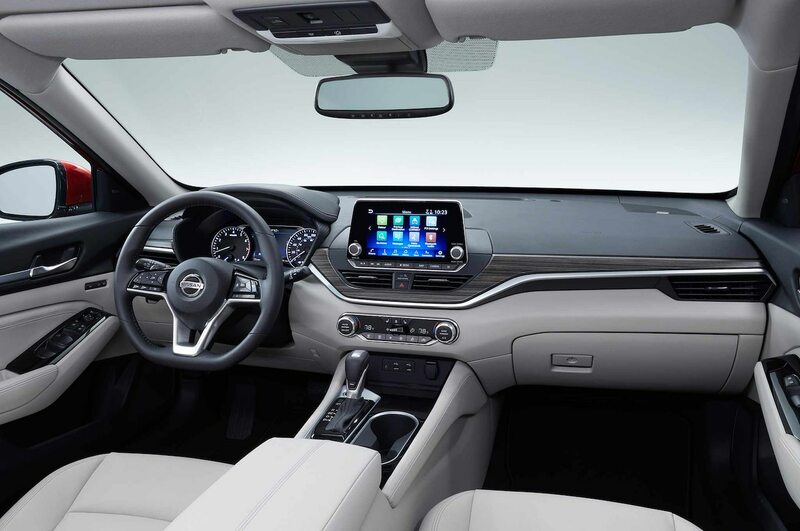 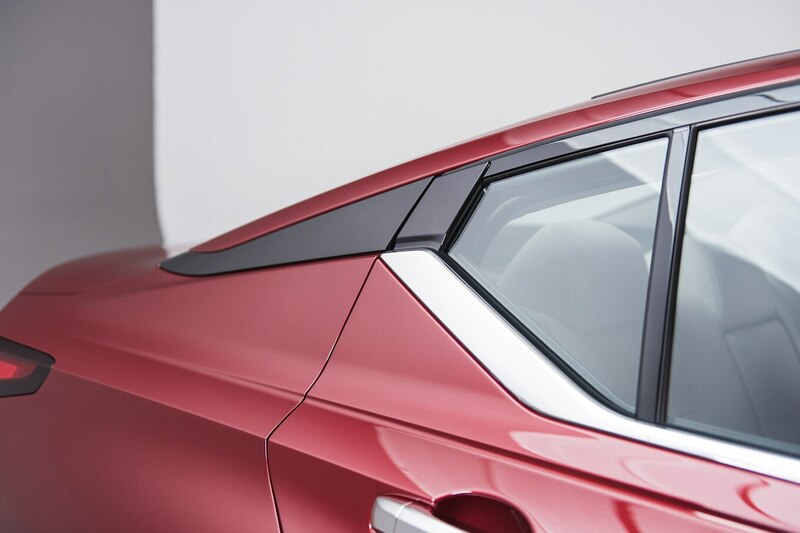 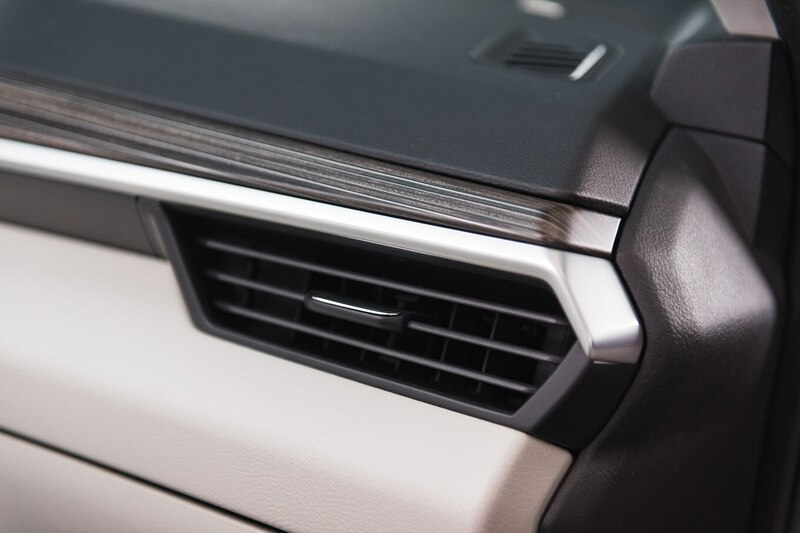 If an increasing number of consumers experience—and appreciate—such systems, expect a future Altima to offer some of ProPilot Assist’s features on lower trims. 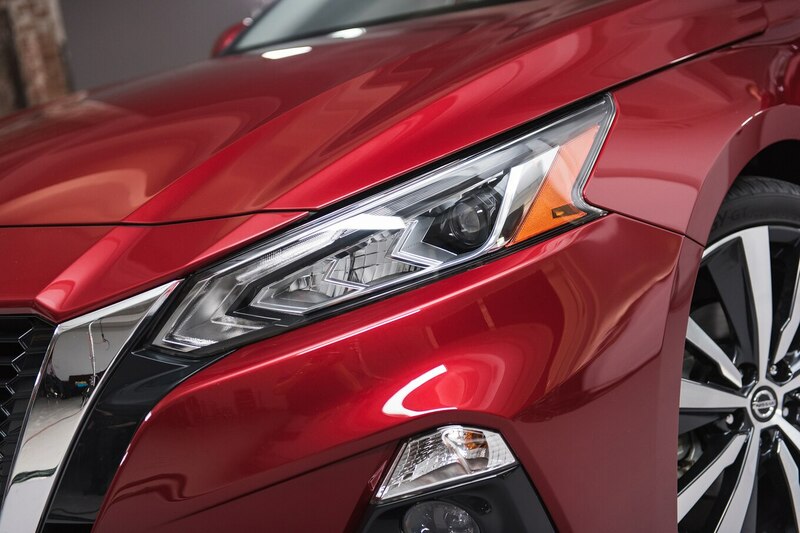 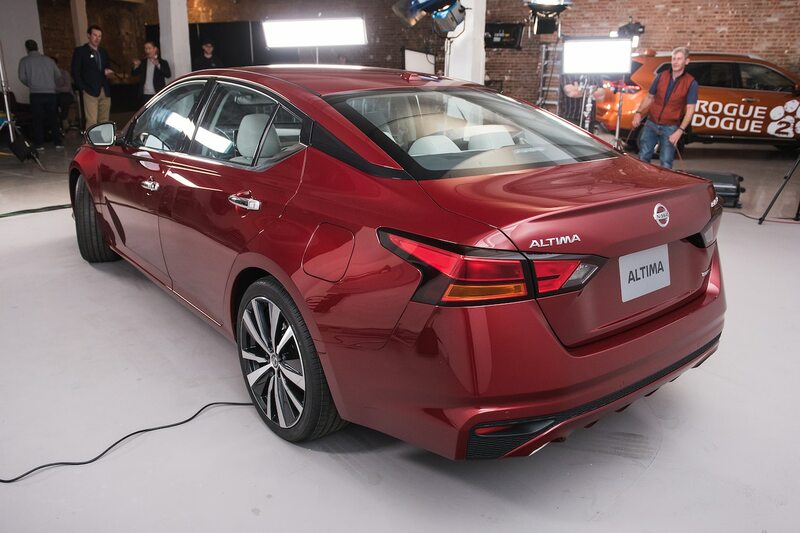 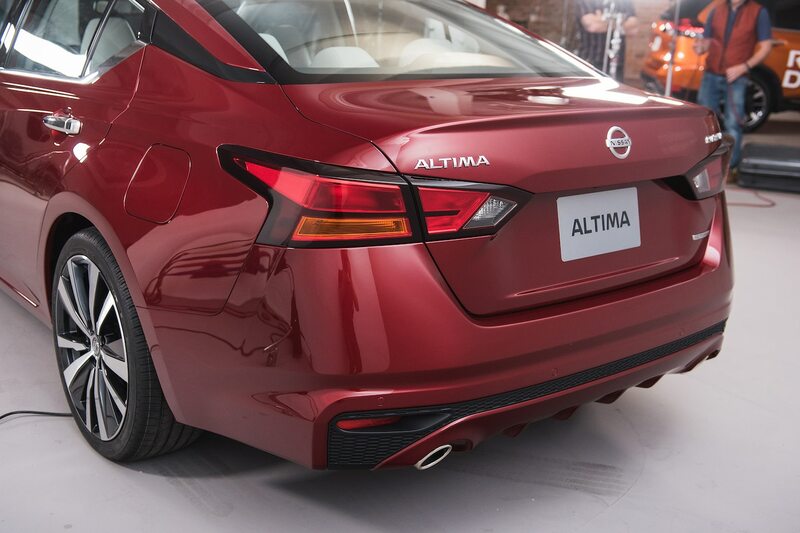 The 2019 Altima becomes another new mainstream-branded car to lack a true base model. 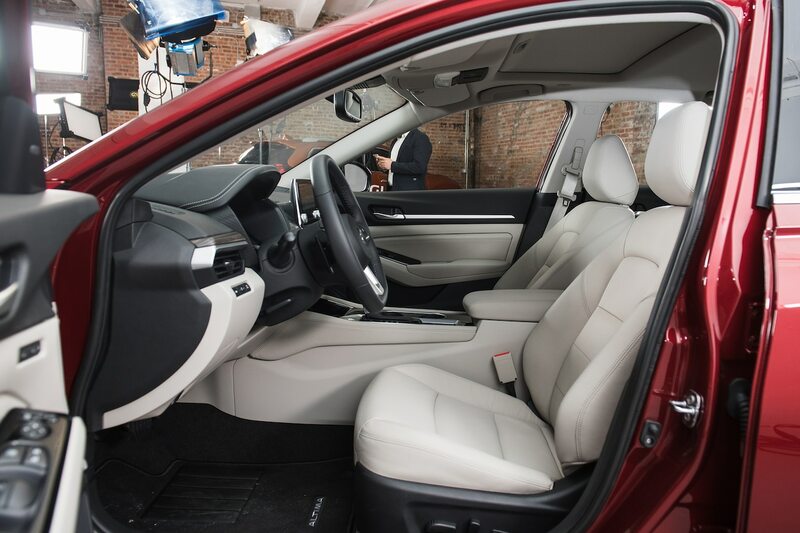 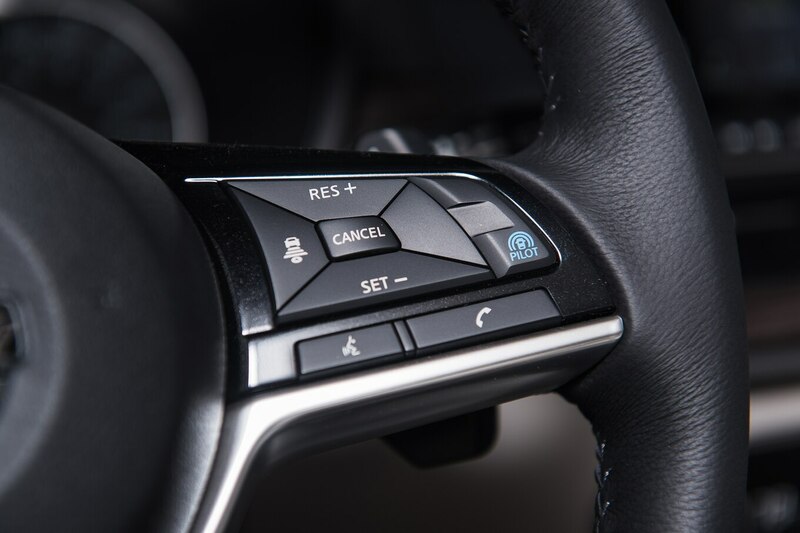 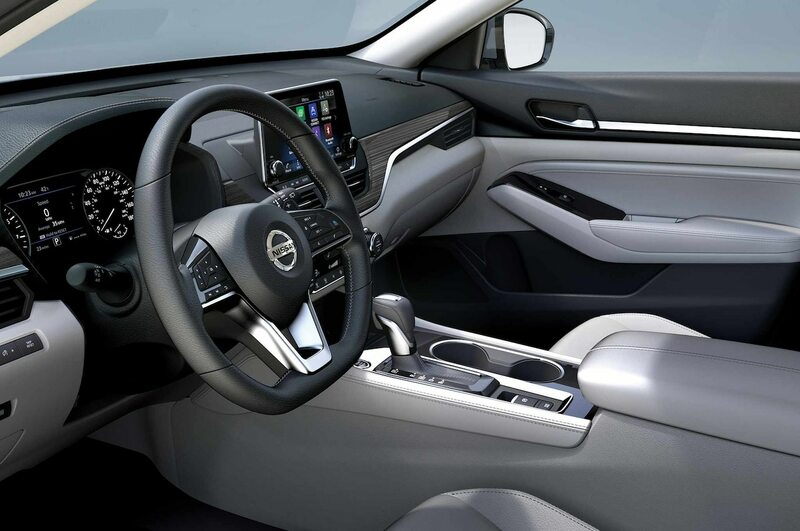 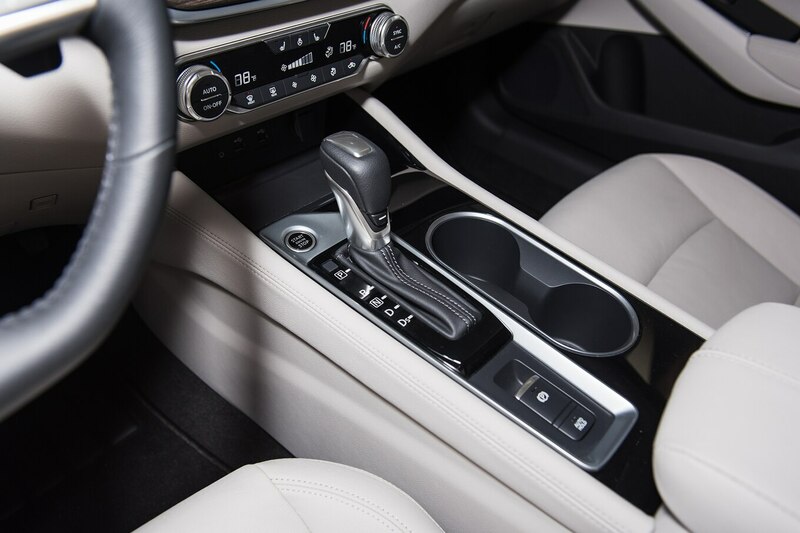 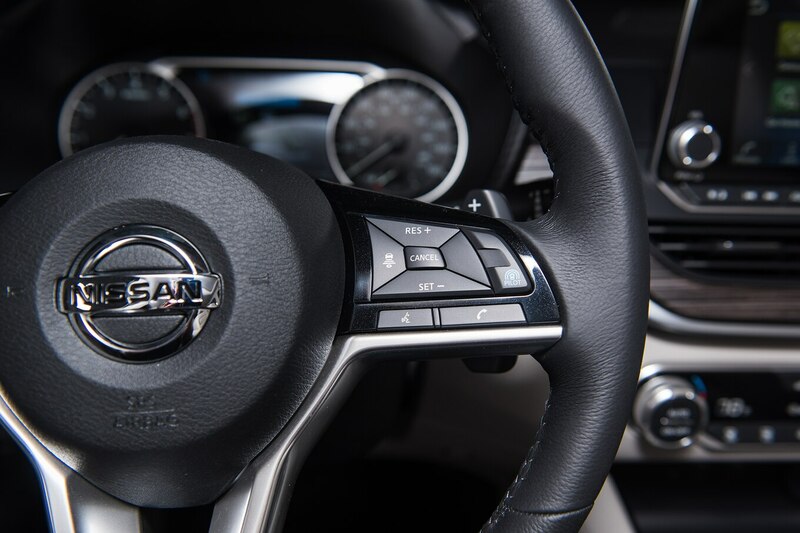 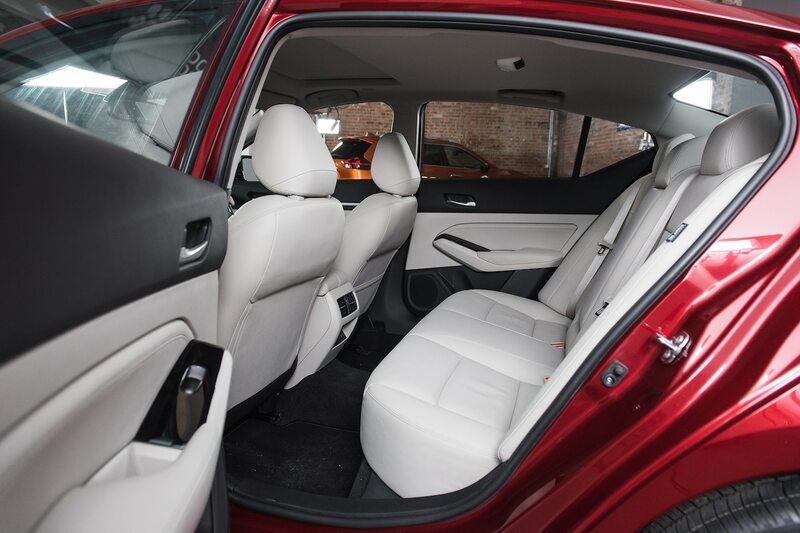 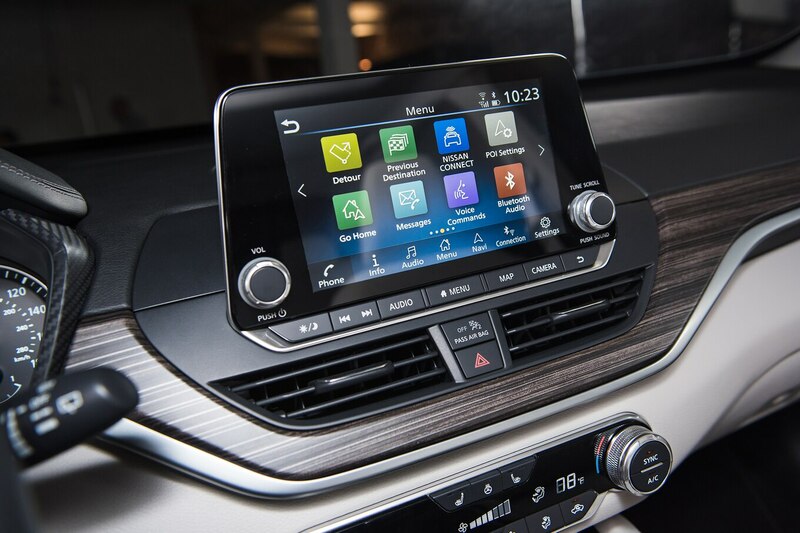 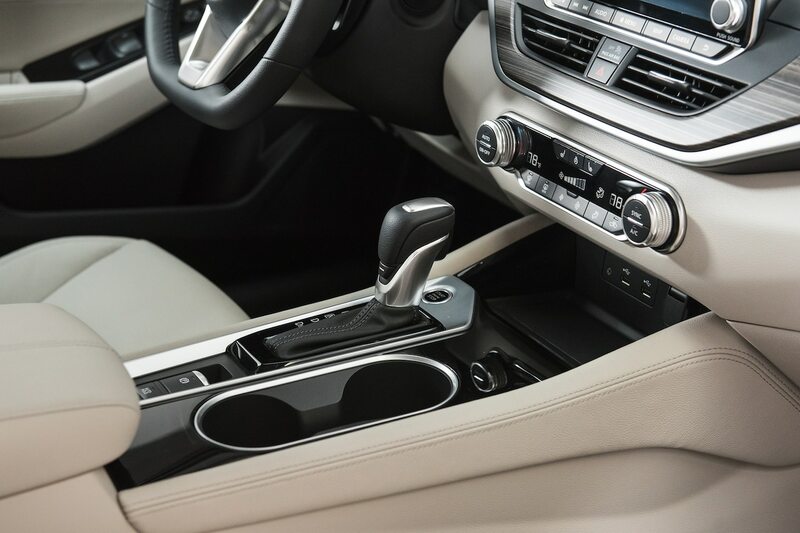 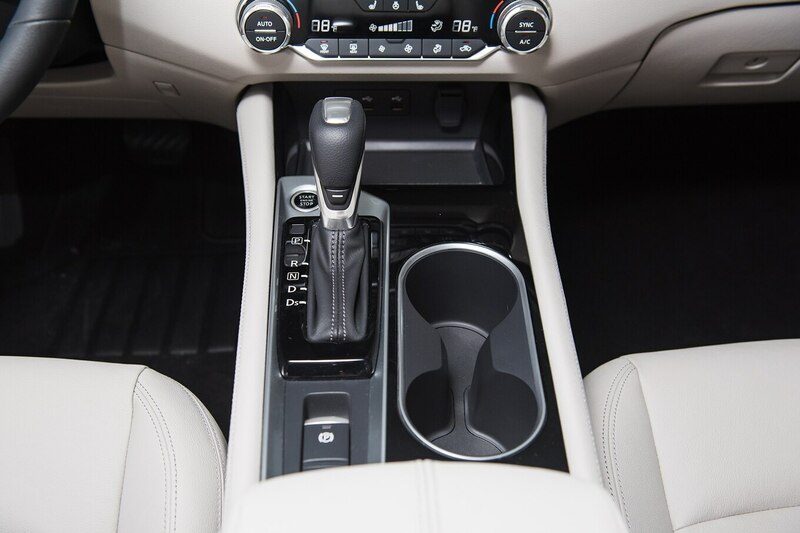 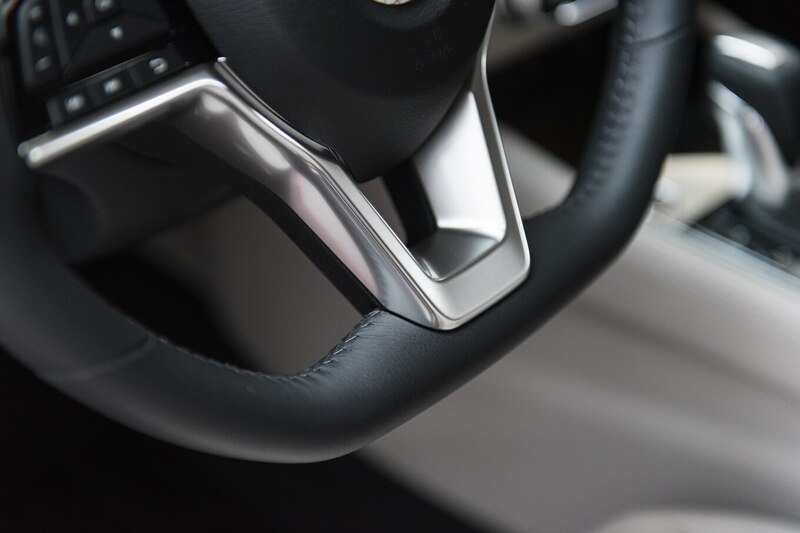 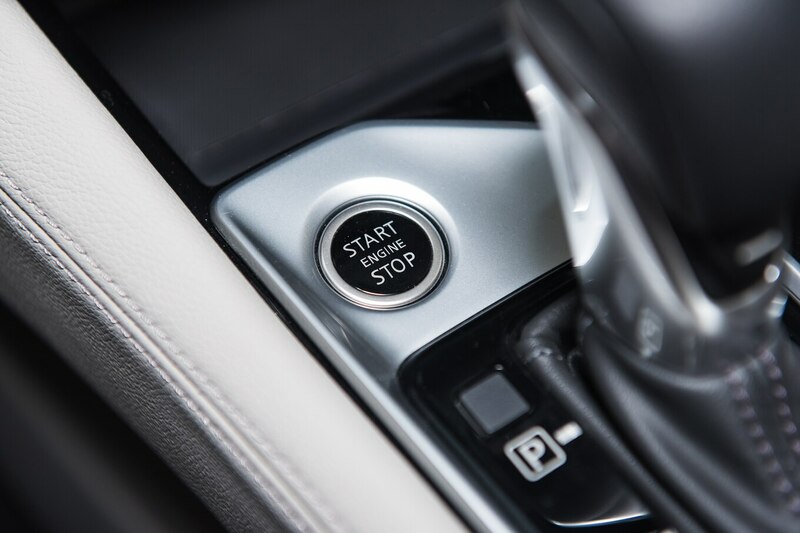 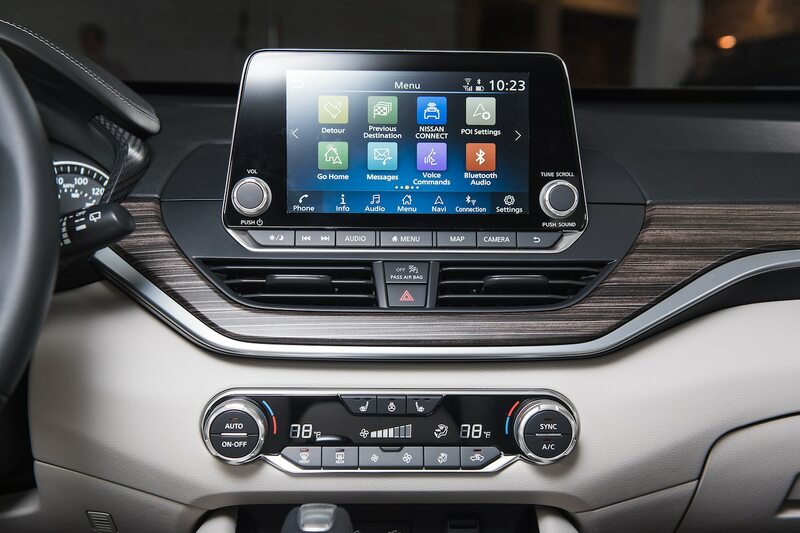 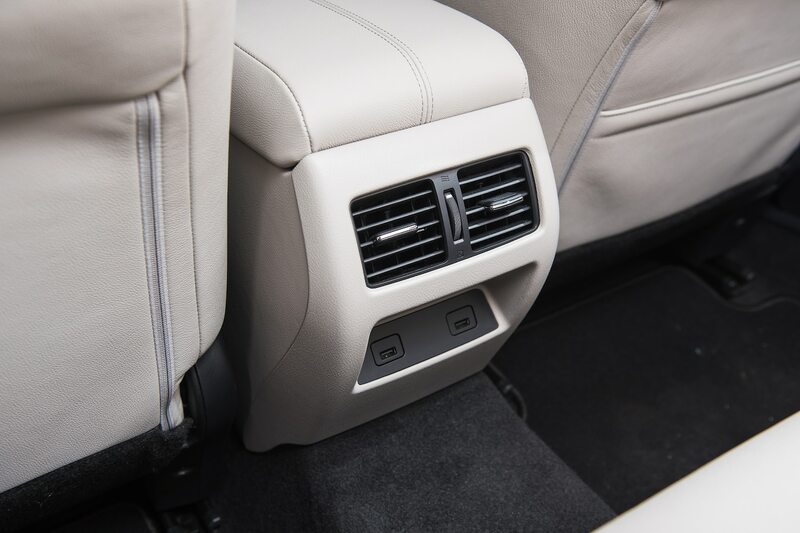 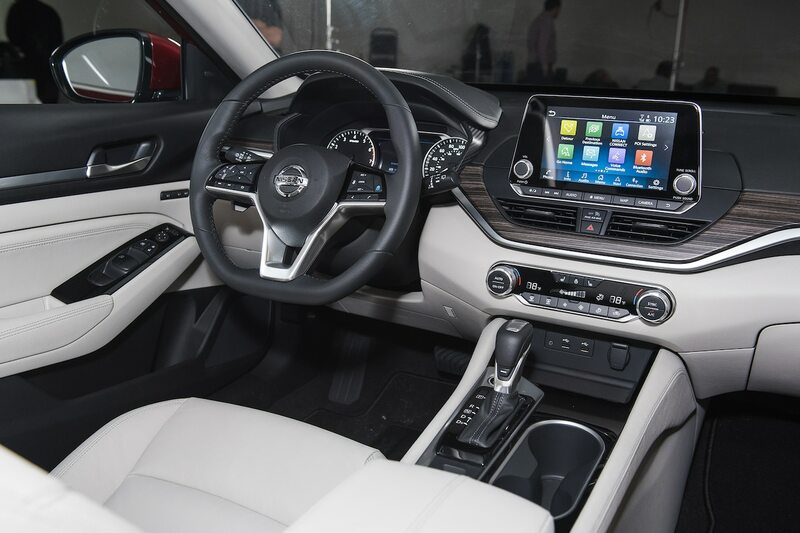 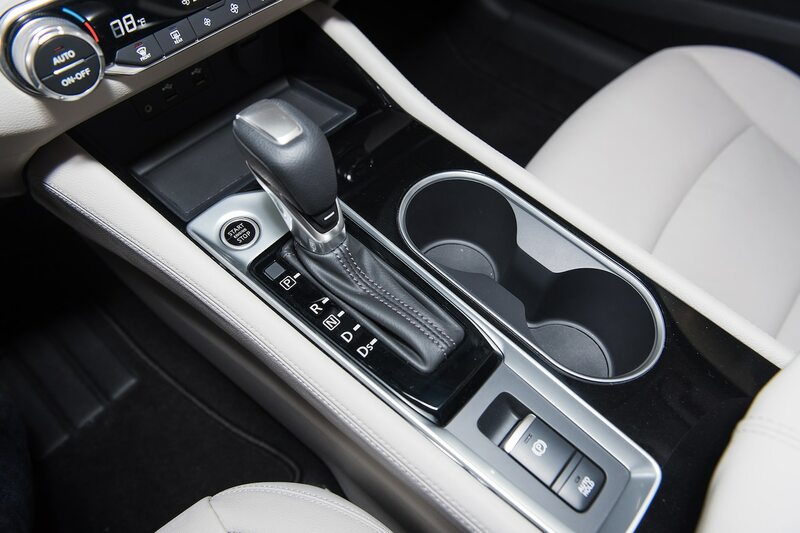 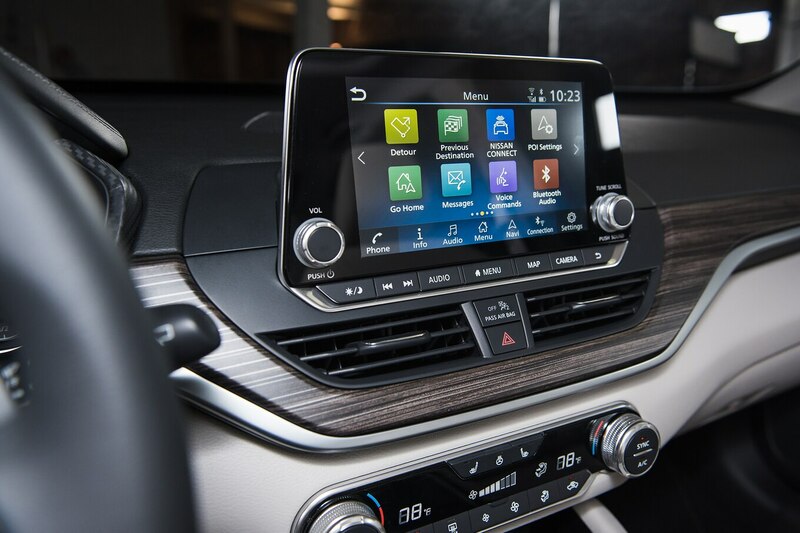 Yes, the 2019 Altima S rides on 16-inch steel wheels with covers, but even that model comes standard with push-button start (and a smart key that requires a push of a button on the door handle to open the car), an 8.0-inch touchscreen with Apple CarPlay and Android Auto, a 7.0-inch gauge cluster info display, four USB ports (two in front and two for rear passengers), and an eight-way power driver seat. 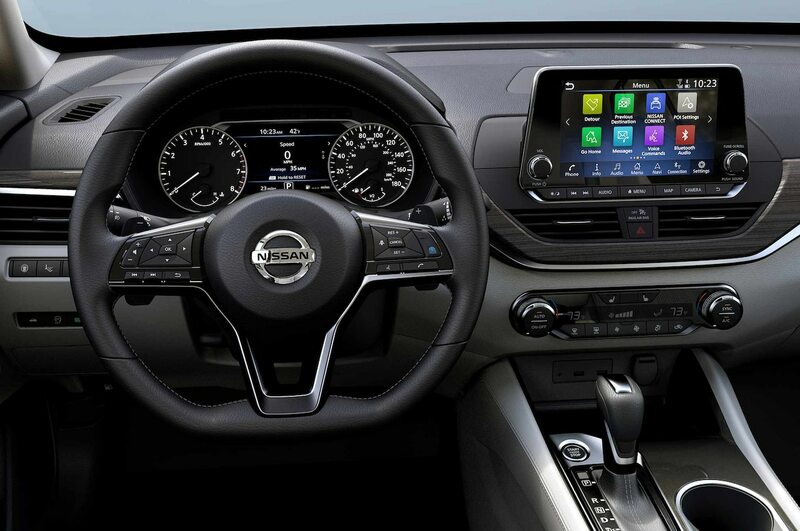 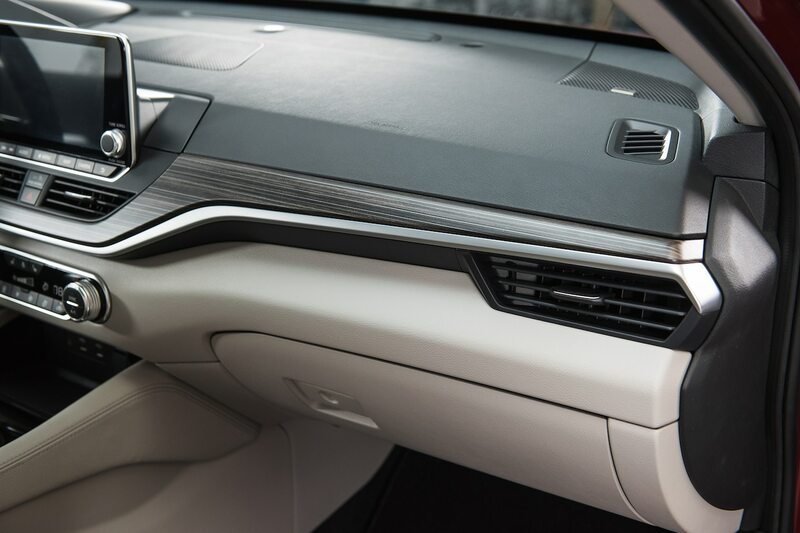 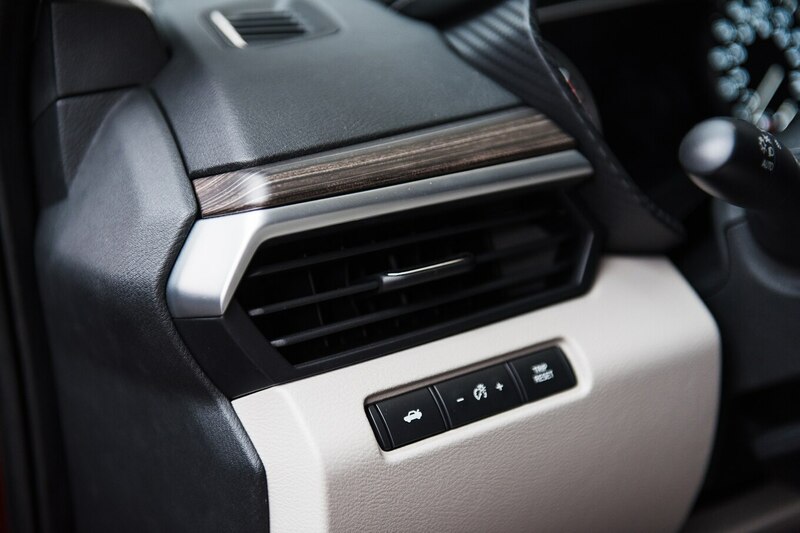 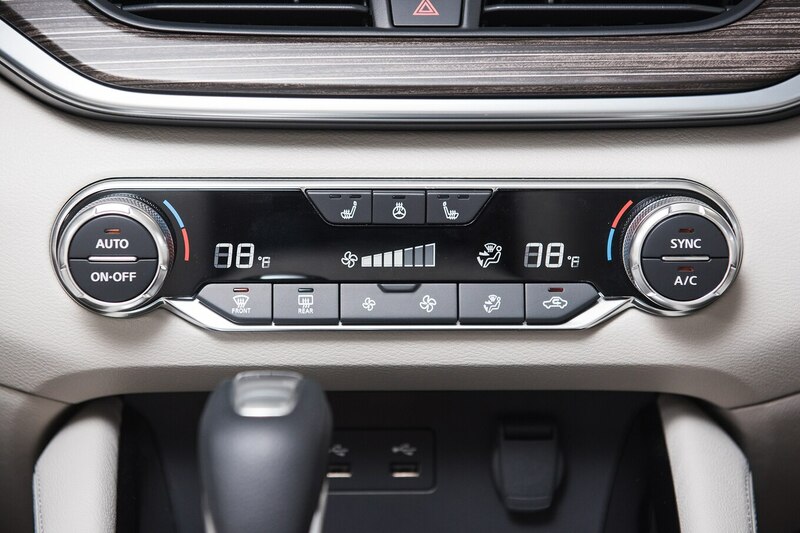 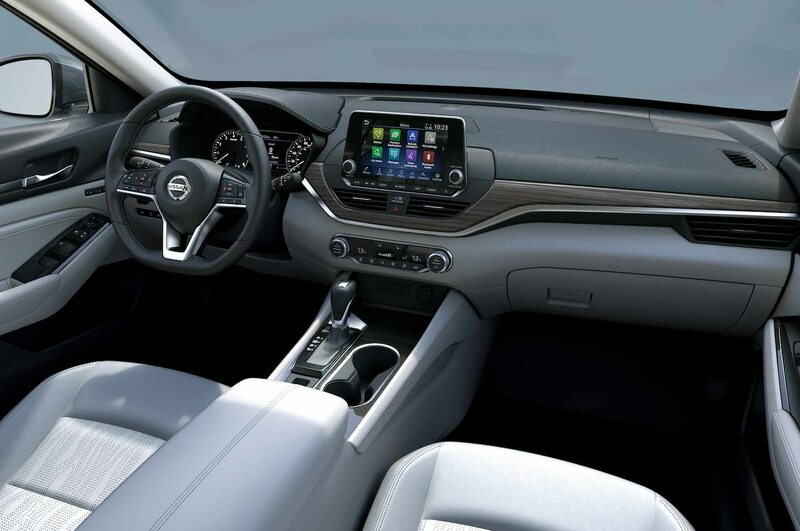 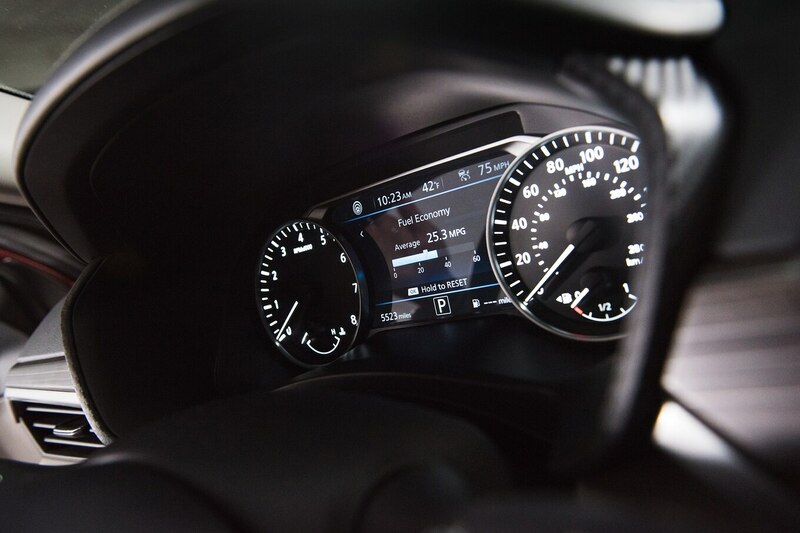 As someone who spent a year behind the wheel of Motor Trend’s long-term 2013 Altima, I’m happy to see that the 2019 Altima’s standard 8.0-inch touchscreen is positioned at the top of the dash. 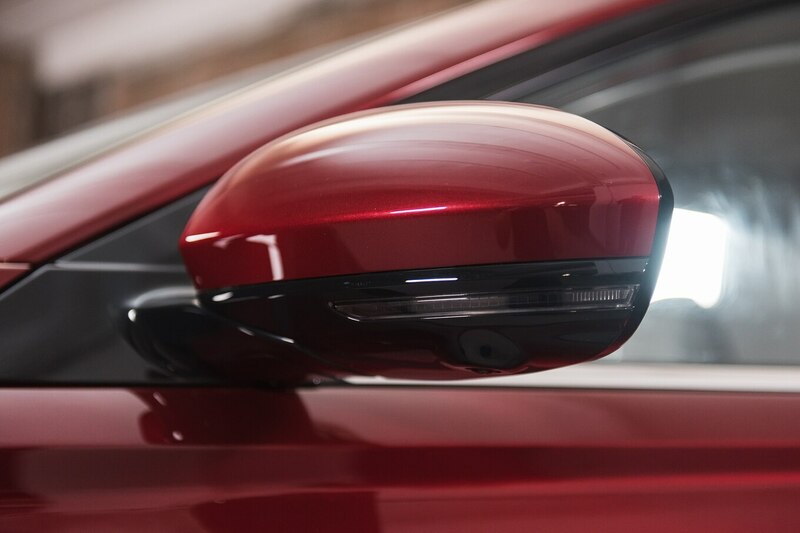 That’s a huge improvement compared to the outgoing car, allowing for easier quick-look visibility than before. 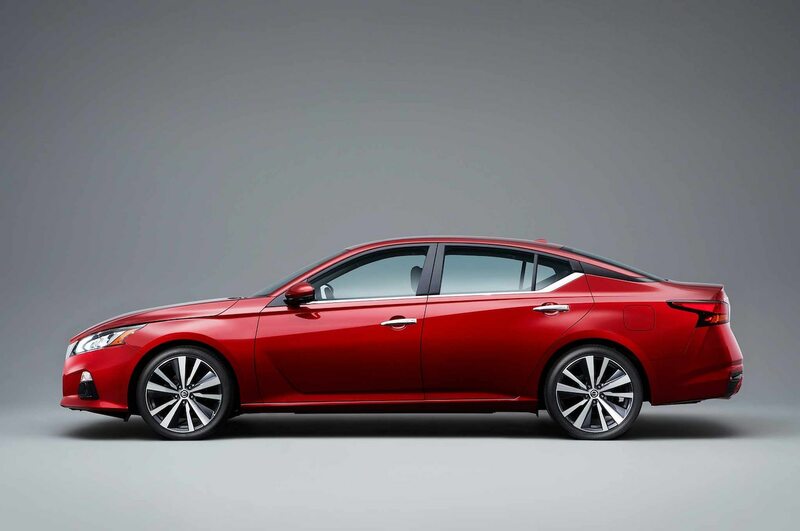 As with the Accord, though, it’s too bad the screen isn’t tilted a little toward the driver. 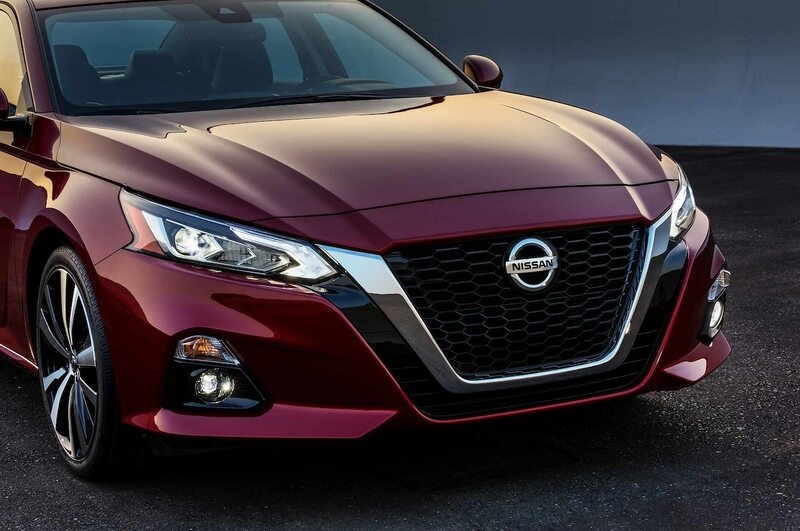 The 2019 Altima’s low hood makes an impression when seeing it in person. 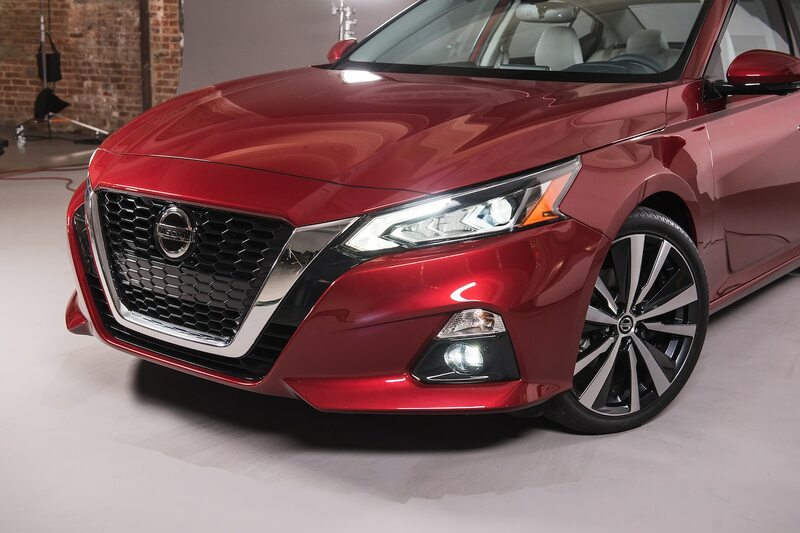 Along with those slim headlights, it helps make the midsize sedan look more aggressive and even a little angry if you anthropomorphize cars. 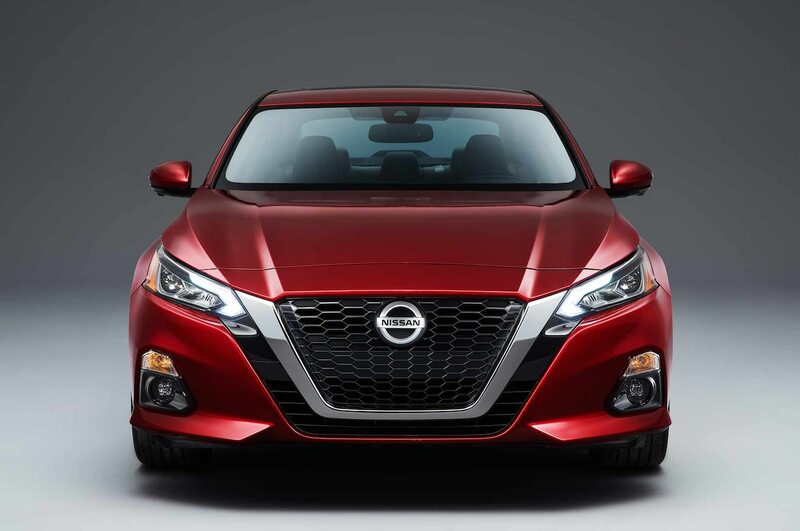 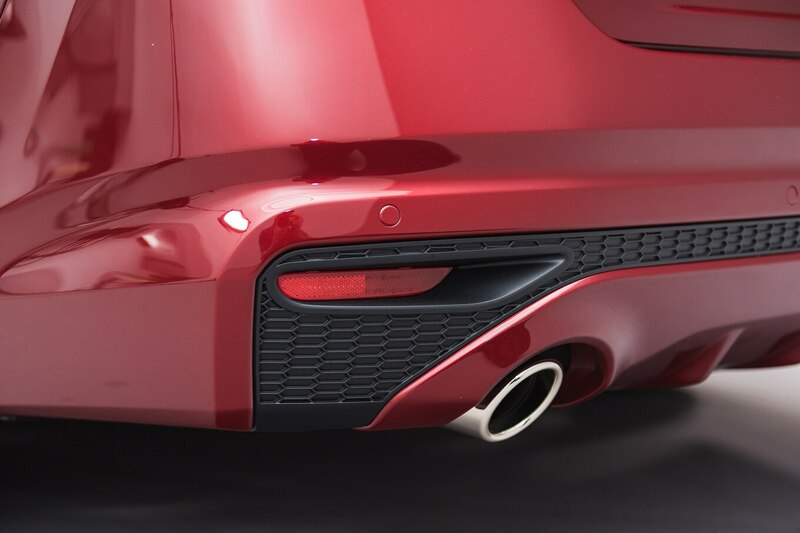 The car’s 30-millimeter hood drop was made possible in part because of the fact that Nissan’s upgraded 2.5-liter I-4 base engine was reoriented 180 degrees, Kramer said. 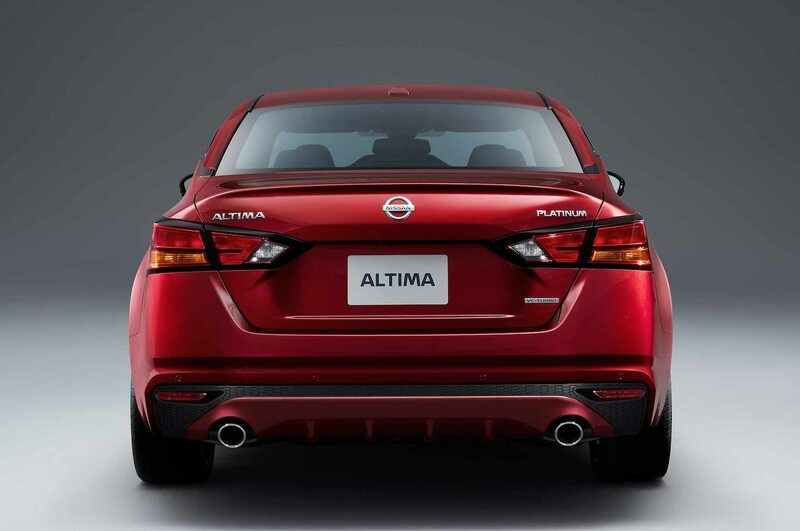 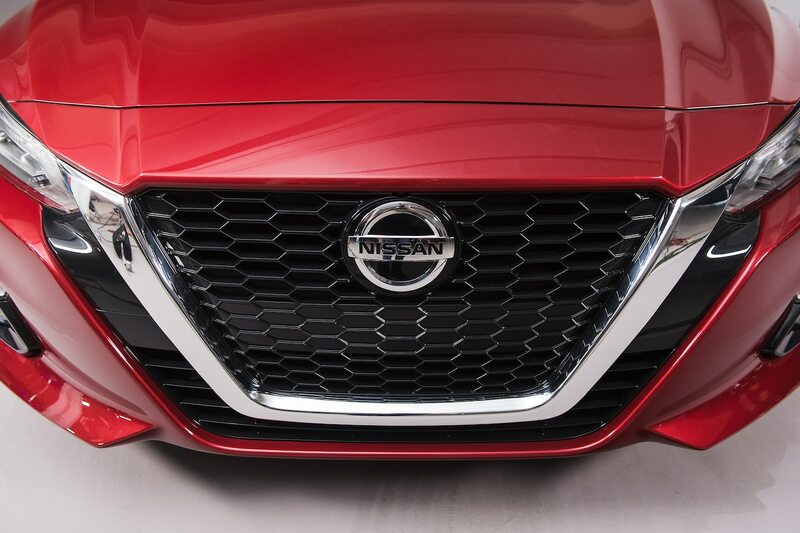 The 2019 Altima will not offer a V-6 engine. 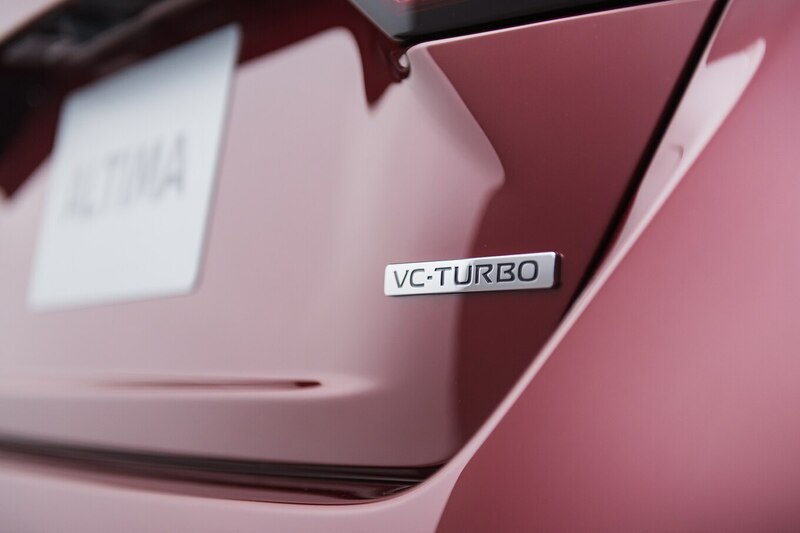 In its place, a new 2.0-liter VC-Turbo engine is the upgrade engine that’s offered in front-drive form on the SR and Platinum trims. 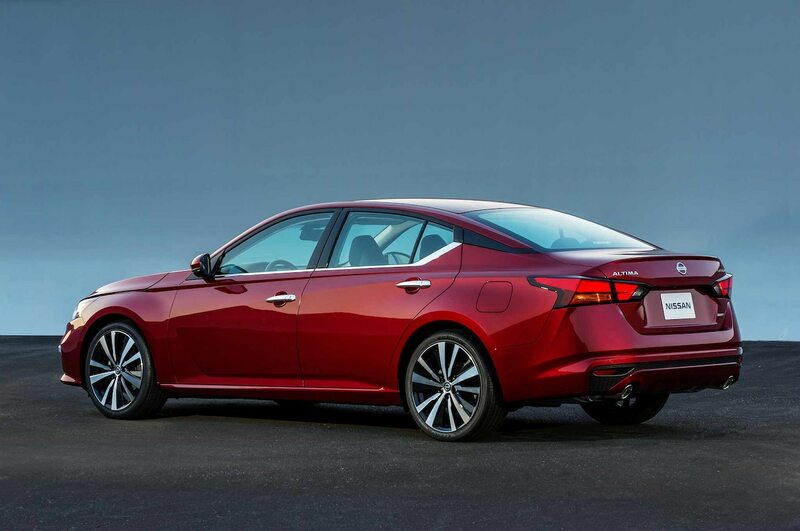 The V-6-replacing turbo-fours we’ve tested in midsize sedans have offered different levels of performance, from the Malibu and Accord options whose sub-6-second 0–60 times keep up with a Camry V-6 to the highest-horsepower variants from Hyundai and Kia, which have 0–60 times just above 7 seconds. 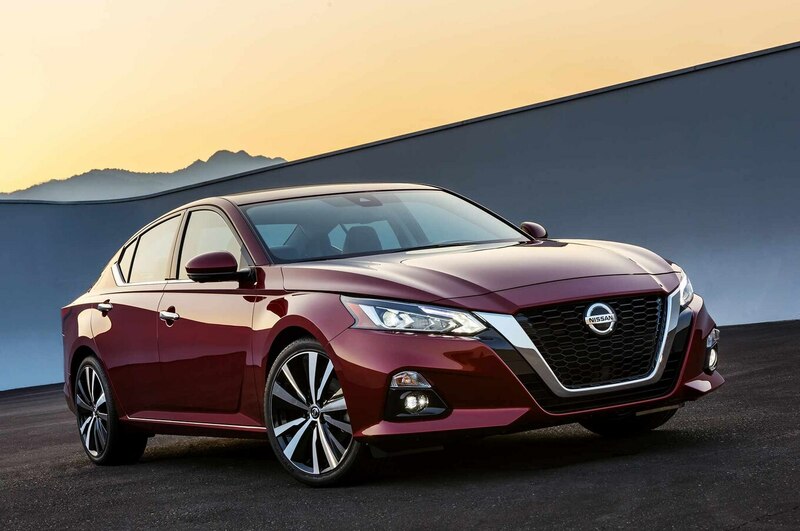 Even the outgoing Altima had impressive EPA-rated fuel economy, so we’re interested to see how well the updated base 2.5-liter I-4 will perform with its standard CVT.